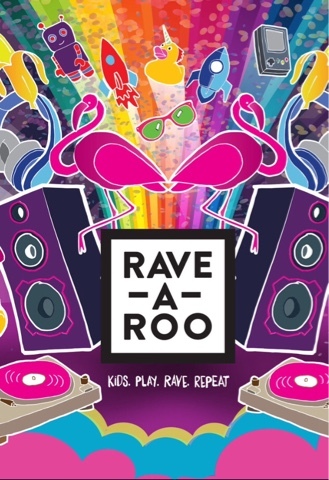 Imagine an indoor festival vibe with a focus on families partying together and getting their rave on….and you have Rave-A-Roo; a new clubbing mash-up of festival fun for all the family. At Rave-A-Roo kids can be themselves, dance, let loose, create, watch or chill. Launching at London’s most iconic club, Ministry of Sound, in February half term, Rave-A-Roo is an entirely new concept. From toddlers to grandparents, everyone is invited to join in the madcap fun. It’s the ultimate party with top DJs, the Disco Ball Games, a Big Fish Little Fish takeover, LIVE stage performances, hosts Tom and Adam (from Babyhead and Lost and Found), PlayGlow toys, confetti mayhem, neon craft, Glow Chill Room, and a UV tattoo station. At Rave-a-Roo there is the chance for mini-clubbers and their adults to take on the dance floor with resident artists Go!Go!Go! as seen on Nick Jr. They’ll be debuting their Electro Set and revealing their brand new look. For time out from the dance floor and the little ones who can’t party quite as hard, they can take it easy in the Glow Chill Room, with an area for babies, whilst parents watch their little faces light up. With a fully licensed bar (and tea, coffee and snacks), a convenient onsite buggy park, baby changing, professional security, carefully monitored sound levels and beautifully lit rooms, Rave-A-Roo offers a unique and safe environment for families. Rave-A-Roo will launch at London’s Ministry of Sound on Friday 19th February 2016. Sessions are 1pm to 3pm and 4pm to 6pm. Tickets are priced £7.50 (earlybird), £10.00 (advanced) and £12.50 (on the door). Babes in arms go free.